Around the globe, thousands of marketers spend countless resources and budget trying to attract visitors to their website. But what happens when they accomplish their goals? Too often, visitors remain anonymous, leaving the site without ever allowing the marketers to gain an understanding of who they are, where they come from, and how likely they are to become customers. 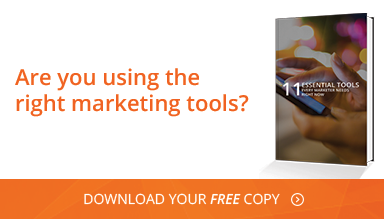 If you're one of the countless marketers struggling with this issue, allow us to help! Here are three steps to identify anonymous users on your website. Let's jump right into the issue with the single biggest tool to your advantage: gated content. Put simply, your visitors will have little incentive of identifying themselves if everything on your website is accessible without the need to do so. On the other hand, “gating” your content behind sign-up forms that require users to hand over their contact information significantly increases your chances that users are willing to give you their information in exchange for your offer. If you're at all familiar with inbound marketing, this should sound very familiar to you. Gating your content means not only enhancing your lead nurturing and marketing automation efforts, but it also helps you identify your most relevant (and interest) anonymous web visitors. Of course, this isn’t a one-way street. The value of the content you’re offering must always dictate how much information you are requesting. If it’s a one-page PDF, suffice it to say people will feel less compelled to hand over more than their name and email address. But if you’re offering a full e-book or a video series, you can get away with asking for more information because the perceived value is much higher. Once your visitors identify themselves as leads, you've completed the first step in removing the unknown from your web audience. But it doesn't stop there. Thanks to a number of integration opportunities, you can use the user-submitted information as a jumping-off point to learn more about your leads. Many CRM systems now offer social media integration, which means that they auto-populate your leads' profiles with information gleaned from social media accounts associated to the same email address. Meanwhile, free WordPress plugins like LeadIn allow you to track your contacts' activity on your website, further increasing your knowledge about the activity and interests of your web visitors. Thanks to these integration capabilities, you continue to gain an in-depth understanding about your visitors, who have become far from anonymous. Of course, not nearly every visitor will turn into a lead. While we would argue that your leads will be your most relevant (and successful) audience because they were interested enough to hand over their contact info, you should not ignore the visitors who choose to remain anonymous. Unfortunately, identifying these visitors can be difficult to impossible. What you can do instead of an individual one-to-one identification is use their browsing habits and general information to glean more information about your audience. For example, businesses may use prospect research tools to track the individual IP addresses from which visitors (who are likely to be purchasing agents) access the website. Geographic information and browsing habits are easily available via Google Analytics, and can be helpful in better understanding even those visitors who are not willing or ready to become leads. Identifying anonymous visitors has long been and will remain one of the most difficult challenges digital marketers face. In fact, it's one of the many reasons for the rise of inbound marketing and lead-generating efforts, which seek specifically to turn visitors from anonymous to known prospects. Thanks to integration capabilities that range from social media networks to the website itself, businesses can use lead generating efforts as a start to compile a complete database that will be invaluable in your lead nurturing and sales efforts. And even when you can't identify individual visitors, gleaning at least demographic and geographic information about your audience can inform your marketing and ensure its relevance.